Using MSH’s noteworthy experience with Building Information Modeling (BIM) and our ability to produce accurate construction drawings, MSH Architects has teamed with the Architect for LMC Kierland, Todd & Associates, in Phoenix, Arizona to develop design and construction documents for this 299-unit luxury, resort-style residential development. 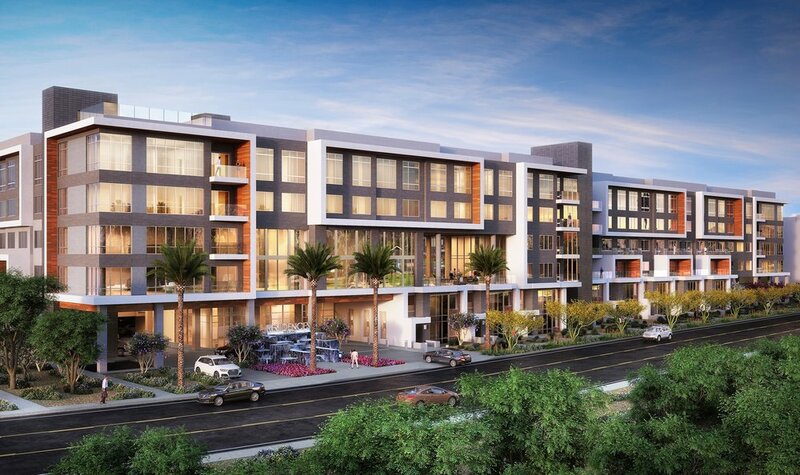 LMC Kierland, currently in the design documentation phase, will complement existing retail, commercial, and residential developments in this robust, high-density urban village. It will attract new residents who desire a resort-style living experience and a “lock and leave” lifestyle demanded by many of today’s business professionals in a live/work/play environment. The design of LMC Kierland is four levels of residential living spaces above two stories of podium parking. Generous amenity spaces include two landscaped courtyard areas connected with a two-story, open-air breezeway. There are a rental office, two-story clubhouse, fitness center, and common outdoor patio spaces. A number of other accessory resident-focused services include a pool, spa, fitness center, lounge, resort-style locker rooms, an outdoor dog park, and private storage areas. There are several retail spaces being designed to provide specialty services for the residents.